What is in Owen Gray’s head … and who is trying to kill him for it? Twenty-nine-year-old Owen Gray always believed the miraculous device in his brain had been implanted for purely medical reasons, as a way of controlling the debilitating seizures he suffered in his youth. But when the Supreme Court rules that “amplified” humans like Owen are not protected by the same basic laws as pure humans, his world instantly fractures. As society begins to unravel and a new class war is ignited by fear, Owen’s father, a doctor who originally implanted the “amp”, confides something that will send him on a harrowing journey – his “amp” has hidden potential to do so much more than he imagined … and he is now in grave danger. As soon as I started Amped I knew I was in for one hell of a ride. The world Wilson describes in which humans reacting with fear and disgust to amps – people with electronic circuits implanted in their grey matter – is strangely believable and horrifying. The book is filled with incredible ideas and the author has a keen insight into what lurks deep inside every human being – the fear of being left behind. These implants embody just that: technology that is meant to help those who need it – the physically and mentally impaired – are no longer ostracised because of what they can’t do, but what they can. These tools we love so much have burrowed under our skin like parasites. They’re in our brains now, our joints and organs. Crouching behind our eyeballs and clinging to our sinuses. Making us smarter and stronger and always, always more dependent. The main character, Owen Gray, stands out because he is so normal (aside from the implant) – a high school Science teacher who was just doing his job, and then the world turned on him and others just like him. 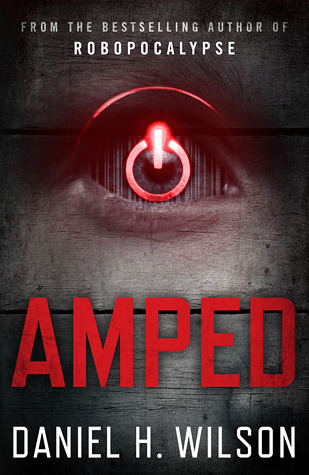 Once the amped are declared to have no legal rights, his existence is defined by simply trying to survive in a world he no longer belongs in, no longer understands. Jim is one of the more dimensional supporting characters in the book, who introduces Owen to the realities of being amped. Jim’s pragmatism is powerful, and it is clear that there is no peaceful solution to the growing unrest gripping America – the amps will have to fight for their rights. As a science fiction story Amped lacks the nuance and meaty scientific background I am accustomed to. Although the technology behind the implants is not fully explained, the world created around them is surprisingly realistic. I loved the scenes where Owen is learning to tap into the full extent of the powers his implant offers. 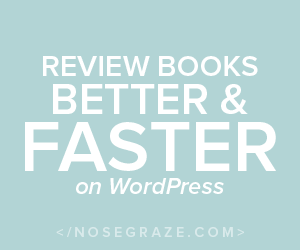 The book is more accurately described as a thriller – a conspiracy movie made into a book – full of action, tortured souls and ‘slow-motion’ sequences when Owen’s amp kicks in. One of the small touches I loved about Amped is that every chapter begins with a speech, newspaper article or piece of legislature that lets readers know what is going all across America, and sometimes the world. It is interesting to note that it is only in America that the amped are persecuted by the masses – the rest of the world seems to react with mild bewilderment as the situation develops. Amped is the perfect read for the beach or on a journey. It’s a light and quick read that delivers a lot of action and explores some thought-provoking territory. Although I was expecting something more along the lines of Asimov, the book is still enjoyable, and I look forward to reading Robopocalypse soon.